According to the Kenyan government, lower electricity rates are now possible thanks to the injection of 50 MW of wind energy into the national grid. The announcement follows a request by the Kenya Association of Manufacturers to review electricity incentives. Kenyan industrialists have just found an answer to the demands they have recently addressed to the government. On Wednesday the 25th of July 2018, Joseph Njoroge, Senior Secretary in charge of Energy, assured that the cost of electricity would decrease as of August 2018. This reduction translates into an 8% reduction in the electricity bill. The reduction in electricity rates follows a reduction in production costs from the power stations. Joseph Njoroge says 50 megawatts will be pumped into the national grid from the new Lake Turkana wind farm. 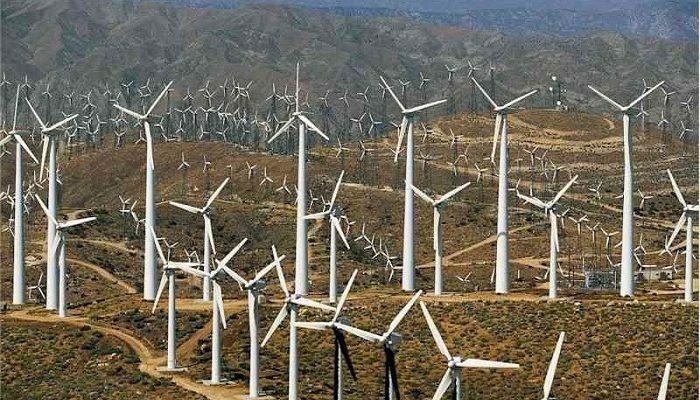 Located in northern Kenya, the wind farm, built and managed by the Lake Turkana Wind Project (LTWP) consortium, has a capacity of 310 MW, which will be purchased at a fixed price over a period of 20 years by the national electricity company, Kenya Power & Lighting Company Ltd (Kplc). With an installed capacity of 2,341 megawatts, 70% of which comes from renewable energy sources, such as geothermal and wind, the progressive injection of the electricity produced by this wind farm will enable Kenya to replace residual thermal energy with wind energy, which is cheaper according to the government. The government’s promise to reduce the cost per kilowatt/hour will, of course, benefits the entire Kenyan population, estimated at 48.46 million. This announcement comes, however, after demands from industrialists, meeting within the Kenya Association of Manufacturers (KAM), who had called for a revision of electricity tariffs.